Amanda Virelles is known as a versatile musician, who has played for audiences around the world captivating them with her unique sound and deep interpretations. Her performances have been described as sensible, profound, and energetic. She has performed as a soloist as well as collaborative artist throughout the United States, Europe, South and Central America and the Caribbean. 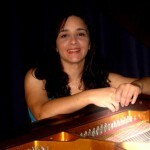 Amanda began her piano studies in Cuba with Serguei Leschenko, an exponent of the great Russian piano school, continued with Heirinch Neuhaus’ protegé Margarita Fyodorova at Moscow State Conservatory Tchaikovsky, and received her Master of Fine Arts Degree from the Russian Academy of Music Gnessins in Moscow, Russia, under the guidance of Inna Malinina, former disciple of Alexander Goldenwieser. Virelles also holds a Master Degree and a Doctoral Degree in Piano Performance and Pedagogy from the University of Southern Mississippi, where she received both a full assistantship and a fellowship as the winner of the Doctoral Assistantship Competition. While at USM, Amanda was a student of Dr. Lois Leventhal. After winning First Prize and an Special Prize for best Cuban and Latin-American music performance in the “Amadeo Roldan” Piano Competition, in Cuba, she was given a full scholarship to study in Russia. She appeared as a soloist with several orchestras in Europe and South America under the direction of renowned conductors such as Yoshikatsu Fukumura, Mikhail Shervakov, Dmitir Manolov, Fillipo Zigante, Kimbo Ishii – Eto, and Miguel Harth-Bedoya. She was a featured winner of the William T. Gower Concerto Competition with the USM Symphony Orchestra under conductor Jay Dean. She has also performed under the baton of Raul Munguia and Alejandro Drago. As a pedagogue Dr. Virelles has served as an Associate Professor of Music at Universidad del Atlántico in Colombia, in the fields of classical piano, theory, and chamber music from 1997 to 2003. Previously, she was on the piano faculty at the Conservatorio Nacional in Lima, Peru. Since her arrival to the United States, she has also served at the University of Southern Mississippi (Teaching Assistant) and Lane College. 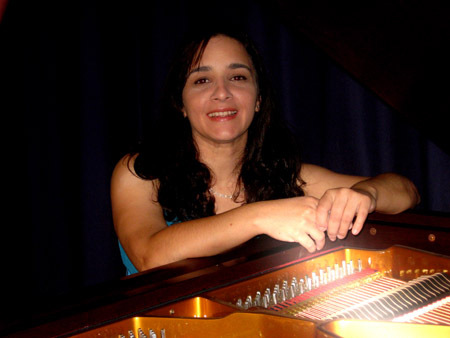 She is a founder of the Philharmonic Society of Barranquilla, Colombia, member of the College Music Society, MTNA, and “Duo Guitiano” with Colombian-American guitarist Carlos Castilla. From 2010 to 2013, Amanda resided in Nashville, TN, and taught at Vanderbilt University’s Blair School of Music and at the School of Music of Belmont University. Currently, Dr. Virelles is an Assistant Professor of Music at Fayetteville State University, in Fayetteville, North Carolina.